Hifz is not compulsory but is a valuable option for those who wish to avail it. Scholastic Islamiah is one of the best option for Hifz in Lahore. We make an effort to create an environment so that the children’s interest is developed to read, comprehend and memorize the divine book of Allah (SWT). Short summer vacations: Hifz students have a one month summer break instead of two and a half months. Develop capability for reading the Book of Allah in Qayam-ul-lail (tahajjud). Students who have completed Qaida can start the hifz program provided they pass the ‘jaiza’ by hifz conveners. 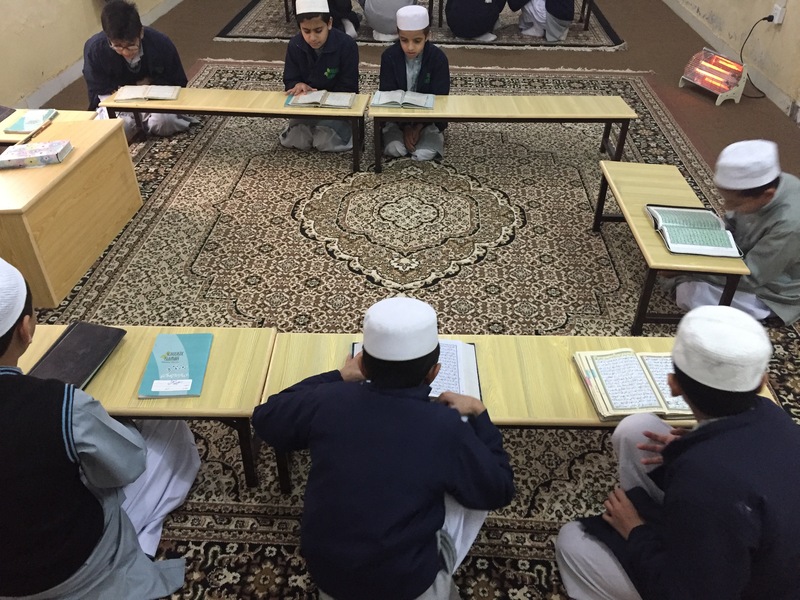 For most students whose parents opt for the hifz program, Hifz will start in Grade 4. Hifz students will only have English and Math until the completion of hifz. Parents will be responsible for the student spending at least an hour every day at home on the quran to memorize the sbaq and revising the manzil. Hifz/tajweed classes will have monthly targets, and students will be tested (during the normal test sessions) on these targets. Hifz teachers will be supvervise by a hifz convener. Students who have completed at least 7 juz in Grade 4, AND want to continue with hifz, will be allowed to continue with hifz in Grade 5. Minimum target for grade 5 is 9 juz, and grade 6 is the rest of the quran and revision. Students who have completed hifz, and revised it a few times, will then resume their regular classes. If the school feels at any time that a student has lost the necessary motivation for Hifz, it reserves the right to return the student into regular stream. Summer: Full-time Hifz can continue during the summer in Scholastic Islamiah | One of the best option for hifz.